To investigate your mortgage options call our Bristol based mortgage advisor team on 0117 313 7780 or fill in our call back form. Assorted mortgage brokers provide a range of high value mortgages to a wide sweep of customers including private individuals, property developers, property investors, celebrities and expat business people. As well as private banks, there are numerous high street mortgage providers who are willing to offer mortgage deals at high value. Bear in mind, though, that such offers as these may well be limited to borrowers who have a largely simple monetary situation – for instance, who are in well paid salaried employment. If you have a variety of complex income streams then it may be better to consider more specialised high value mortgage providers in order to meet your needs. In the event that you have a range of more complicated income sources, it might be a better idea to approach a mortgage broker who only provides high value mortgage deals, in order to fit your requirements. Some mortgage lenders will designate specific constraints on the type of property they will lend against. For instance, some mortgage providers will pass over lending on residential properties with more than nine bedrooms, or will eschew lending on listed buildings or unconventional and architect designed unique homes. If any of these facts relate to the property you want to buy, you may want to discuss your options with a private bank or specialist high value mortgage lender. Our independent mortgage advisors can help you to find the right high value mortgage lender for you. For mortgage lenders, a mortgage borrower who approaches them with the guarantee of a regular, fixed income is often the most appealing and reassuring lending choice. If you are a high net worth borrower, however, you may have an income from a variety of more complex sources including bonus payments, dividends and other assets. You may have income in several currencies as well. By using the services of a broker in high value mortgage lending, you could have a much better chance of having the specifics of your financial situation fully understood. 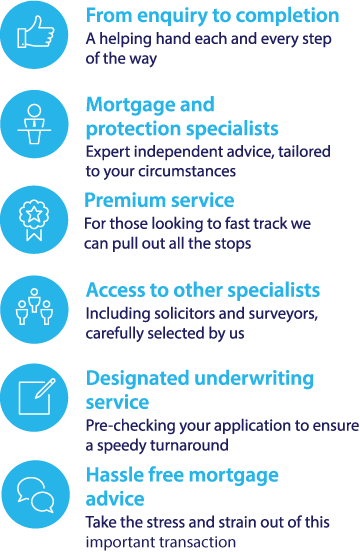 We can help you to present other assets, such as your investment income and any earnings from bonus payments or dividend payments, in the most favourable light to mortgage lenders. After you have drawn up a list of potential mortgage providers for your high value mortgage you will need to collate evidence of your personal finances to present to them, allowing them to calculate mortgage affordability on a case by case basis. As well as presenting payslips, P60s and SA302 forms as evidence of employment or of income from self-employment, you could also be asked to show documentation regarding investment income and other income sources.